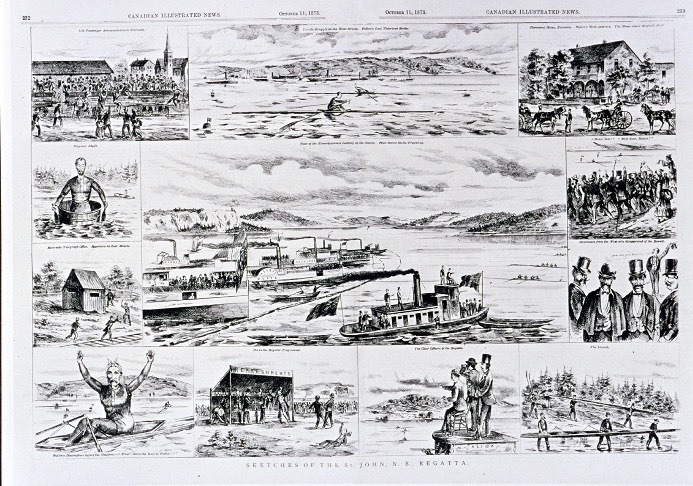 Fulton v. Biglin in the “Canadian Illustrated News”, 11 October 1873. The fun piece about the Paris Crew published yesterday on HTBS reminded me of this double-truck illustration I found in Saint John, featuring a singles race between Paris Crew stroke Robert Fulton and John Biglin of New York [in Canadian Illustrated News, 11 October 1873.]. 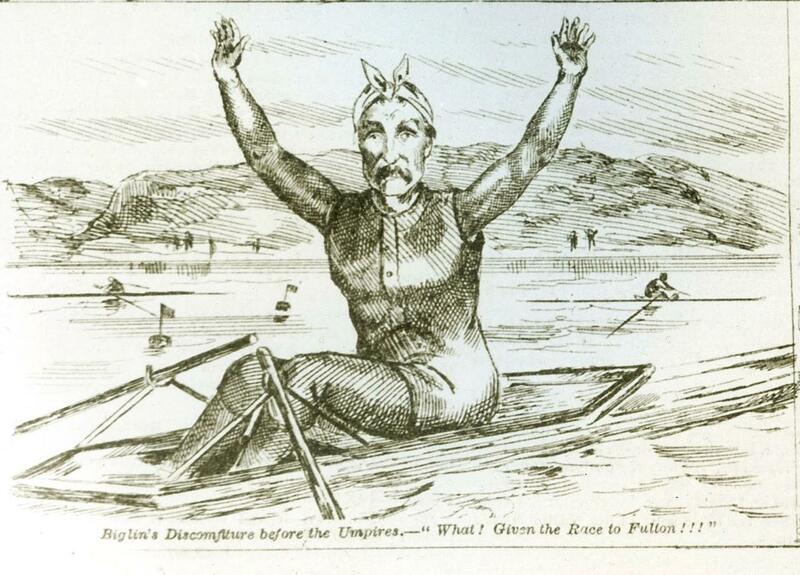 A week later, Biglin had a big race in Halifax, so he took it easy against Fulton to make their race seem closer and boost the odds against him in the next race. But Biglin was too confident and Fulton beat him in the last stroke (top center panel). 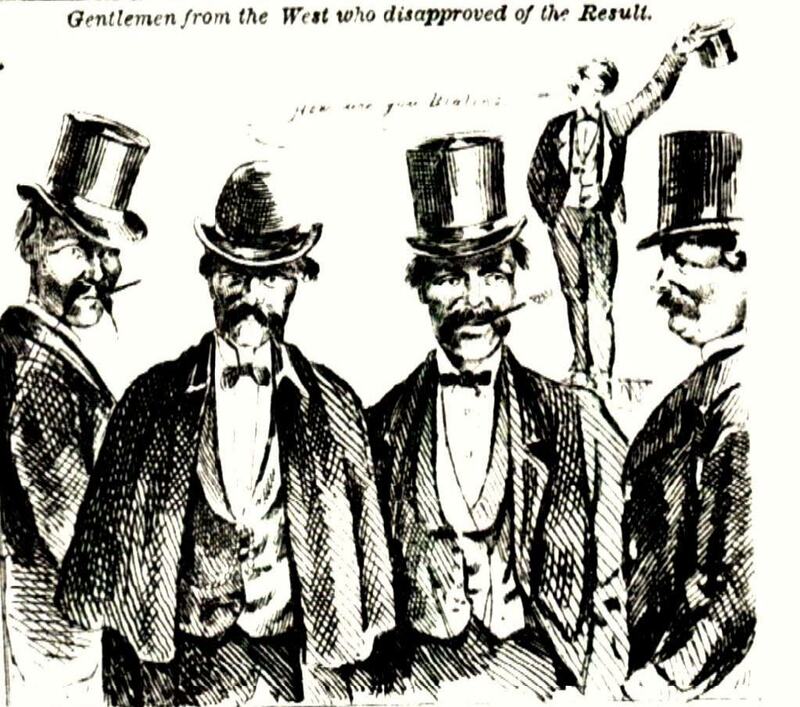 Biglin protesting (lower left) and his dejected fans being mocked by locals (right side third from top) are especially amusing, as is the public drunkenness (bottom second from left). 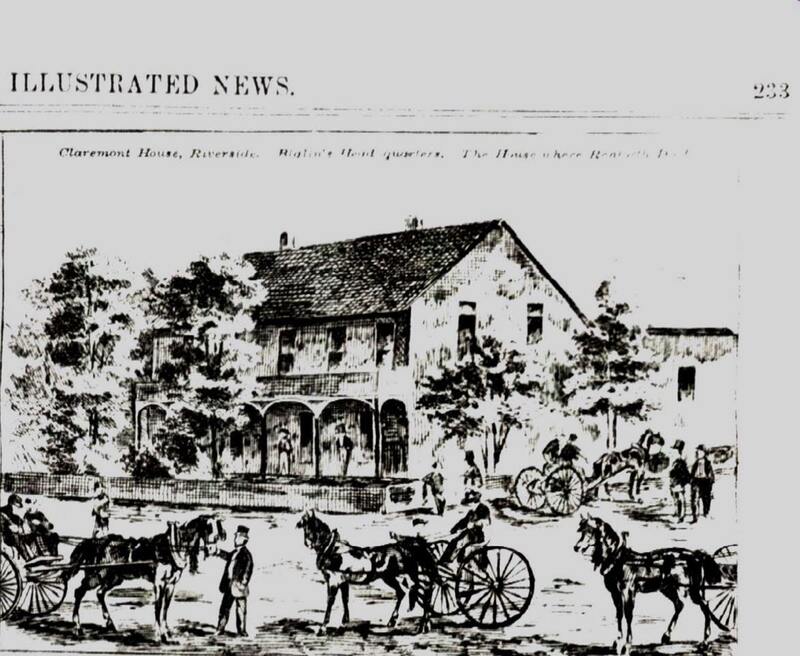 Biglin stayed at the hotel (upper right) where James Renforth had died two years before. Detail: Fulton beating Biglin on the finish line. Detail: left: Biglin protesting the result; right public drunkenness. Close up detail of Biglin. Deatail; Unhappy Biglin supporters are being mocked. Detail: Claremont House, Riverside. Biglin’s headquarters. The house where Renforth died.